If you are sitting still and your headset appears to be swaying a few centimeters back and forth, you may be experiencing "world wobble." This problem has also been referred to as "Z-breathing" or, more technically, "positional parallax error." There are several causes of this issue, but they all relate to the PSVR camera not having a clear view of the PSVR headset’s five front-facing tracking LEDs for an extended period of time. Is the PS4 camera placed too high up? Is the PS4 camera placed too far away? Are the PS4 camera lenses clean? Are there reflective surfaces picking up your headset lights? Is a bright background light washing out your headset lights? The forward direction of the headset may slowly drift to the left or right over time. This can be caused by the same issues as the "world wobble," but can also occur due to issues intrinsic to the headset. Have you tried using the in-game recalibrate tool? If you find that your position is too far away from the game world, press and hold the OPTIONS button on the DUALSHOCK 4 controller for 1 second. You should see the world snap forward to the correct position. The position of your DUALSHOCK 4 controller is represented in the world of Moss as a glowing blue orb. If the positional tracking of the blue orb becomes unreliable or erratic (i.e. when you move your controller in real life the blue orb doesn’t mimic that movement in the game) it's possible that the PS4 camera can't see the red tracking light (the DS4 lightbar) on the controller. The controller’s tracking system can handle brief blockages, but if the lightbar is blocked for more than a few seconds, the position of the controller will start to become inaccurate. Video Feed - can the PS4 camera see the lightbar on the DUALSHOCK4 controller? Are you blocking the lightbar by accident? Bluetooth Interference - is your PS4 blocked by metal? Have you run light calibration on your controller? 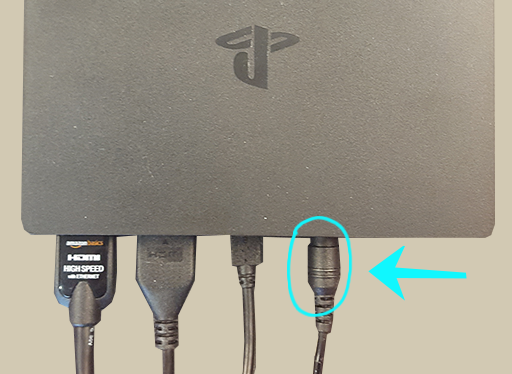 If the Processor Unit (the external box that the PSVR headset plugs into) becomes too hot, it's possible that you will see the video feed on the television become corrupted. The view in the PSVR headset is usually ok when this happens. You can fix this simply by unplugging the power to the Processor Unit and then plugging it back in. You'll need to turn back on your PSVR headset, but your in-game progress should be right where you left off. 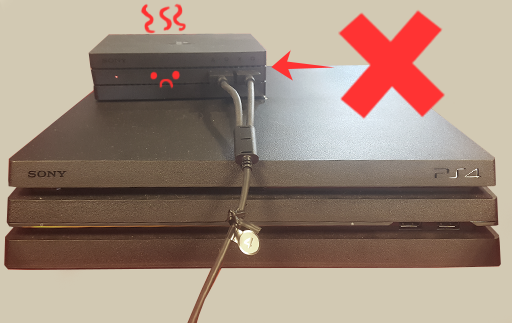 Make sure the Processor Unit isn't sitting on top of the PS4; it can easily overheat when placed there. The screen will fade back in only once the front five lights of the PSVR headset are clearly visible to the PSVR Camera. Are the PS4 Camera lenses are clean? Sorry about that! Hopefully this is an uncommon occurrence. However, if this happens commonly for you we would love to know about it. We receive information from Sony about game crashes, but not for freezes or "soft locks" (i.e. game still runs, but you can't progress past the current room). Please send us an e-mail to support@polyarcgames.com about the issue. If the image in the headset appears blurry while using your PSVR headset, please take a moment to make sure you have the headset adjusted properly on your head. The single most important adjustment is to make sure you have the headband at the right spot on your forehead. Move the headband up and down until you find the sweet spot. 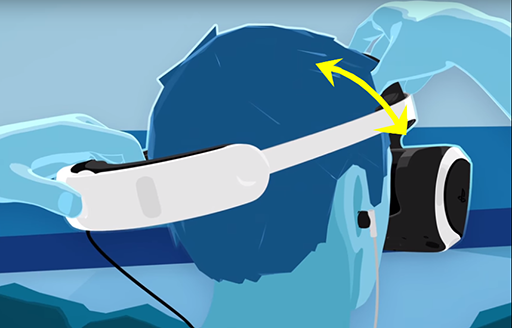 Next, use the "Scope Adjustment Button" (located under the VR facemask on the bottom right) to slide the front part of the headset toward your eyes. If you wear glasses, you'll also want to wear them in the PSVR headset. Also make sure to clean the lenses of the PSVR headset regularly with a lens wipe.